1. A carpet cleaning company that is able to extract allergens from your carpeting. 2. A carpet cleaning company that uses 100% green, natural cleaning agents in the process. In Southampton, PA, look no further, because OxiGreen is ready and waiting to serve you! At OxiGreen, we pride ourselves in being a 100% green, pet and baby safe carpet cleaning company. All the cleaning agents we use in our process are derived from the tea tree and are 100% natural and biodegradable. This means that there will never be a bit of harsh chemical residue left behind that could damage the fibers of your carpets or the health of your family. Our carpet cleaning process will be completely safe for the carpeting, the environment and, most importantly, for you family, especially the little ones and furry friends who love to spend so much time on the floor. Also, with our modern, truck mounted steam cleaning machines, OxiGreen’s professional carpet cleaners will dislodge the dirt, pet dander, mold spores and other potential allergens that get ground deep into the fibers of your carpets. The superior suction of our machines will extract these pollutants right along with 98% of the water, which will leave behind a fast drying, fresh, clean, and healthy carpet for your family to enjoy. 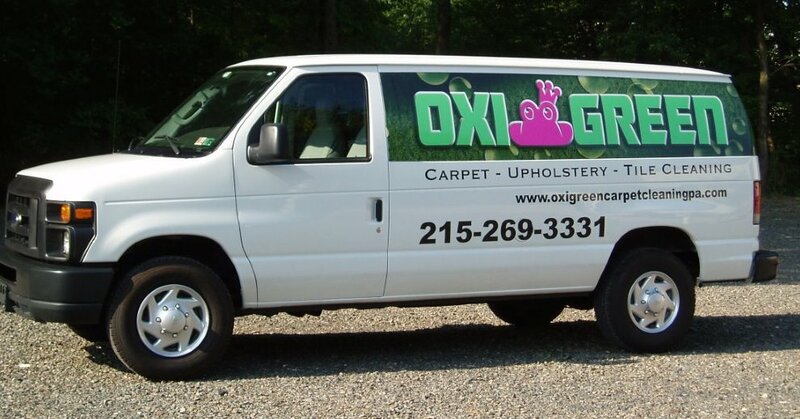 For a pet and baby safe carpet cleaning, give OxiGreen in Southampton, PA a jingle at 215-269-3331. Our helpful customer service reps are standing by to answer your questions, provide a free quote, or schedule an appointment. With our 100% green cleaners and our 100% satisfaction guarantee, you cannot go wrong with OxiGreen!